To say it has been a HUGE weekend in my little homeland would be like saying that the USA were quite chuffed when they landed the first man on the moon – total understatement! 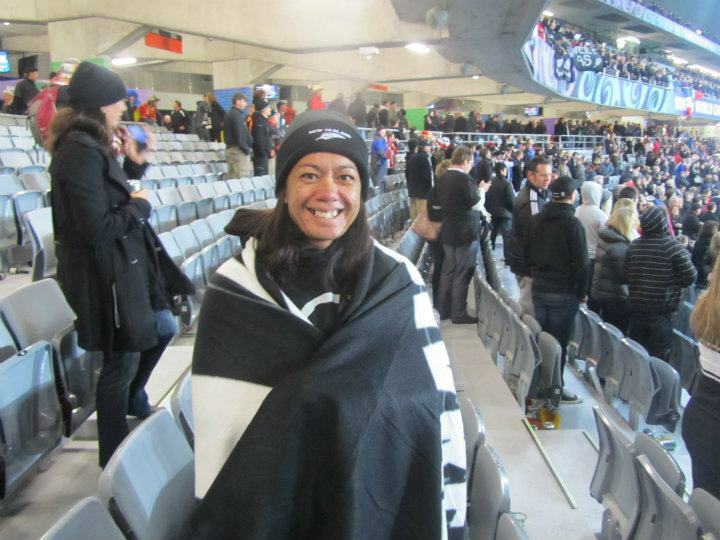 For those of you who come from further afield I will just say that us Kiwis are a pretty sporting bunch and those who don’t “do” watch, we may not sing as loud as the Tongans or dress as loudly as the Irish but there is no denying our passion and loyalty. Even those of us who don’t know a damn thing about rugby apart from the men are quite hot (eg .. me) turn up to the park or a glued to the TV to cheer on our boys. 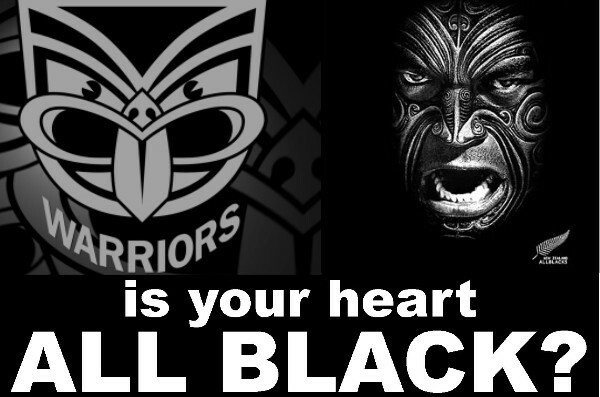 This weekend was going to be even bigger than normal because the All Blacks played the French in the RWC (and the French have knocked us out twice before) and our Rugby League team the Warriors were playing the Melbourne Storm (in Melbourne, Australia) to get a place in next weeks Grand Final. James and I palmed off left the kidlets with Mum and Dad and headed to the stadium to join the sold out crowd for the game. The atmosphere at the stadium was amazing. The french were in high spirits and most were dressed up in costume. After freezing my arse off at the opening ceremony, I was dressed for warmth .. The game was great to watch, lots of throwing the ball and running (kind of like league) bahaha. Sonny Bill scored a try right in front of us *swoon* AND we won .. actually no, we kicked arse. Yeah baby. And the night wasn’t over. The Warriors were still playing. Because I was navigating the streets with a trillion other people to get home by train I kept up to date via Facebook it was a close game, but our boys pulled it out of the bag. What a night! So that is a Win followed by yet another Win. The final win of the weekend? Six weeks and one day till “Operation Top Secret” can be revealed. Previous story Living, loving and there is even some laughing.